It is our company’s environment, quality slogan. Taiyo`s environment slogan is “Creating a Healthy Environment for a Comfortable Life Respect of Nature”. 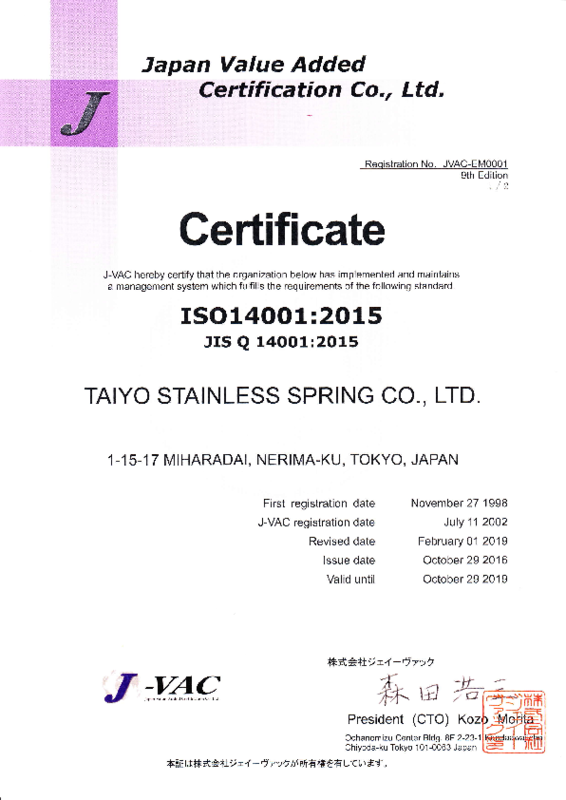 We obtained the ISO14001 certification in 1998. We have established the Environmental Management System as a parts supplier. We facilitated equipments such as the fluorescence X-ray measurement system and ultraviolet-visible spectrophotometer to the environmental needs of the customers. We contribute to greening of the communities at Iruma City Nerima-ku where our plant and headquarter is located. 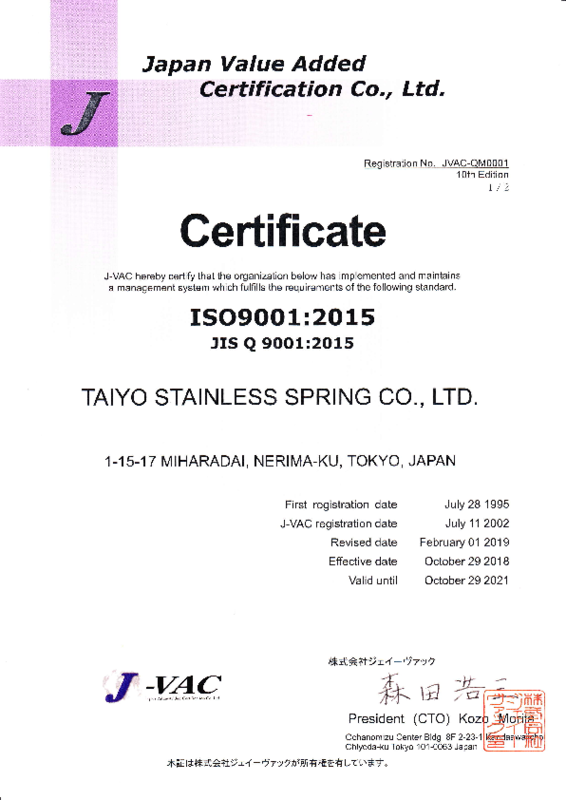 We obtained ISO9001 certification for the whole company in 1995, and updated it in 2008. We have built up the Quality Management System complying with ISO9001. We carry out thorough reviews and verification activities at the stage of designing and processing and also strive to improve quality with the process management of the manufacturing lines.